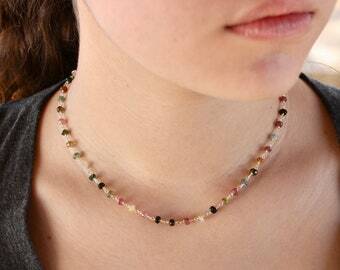 Long watermelon tourmaline beaded layering necklace wire wrapped in 14k gold filled. 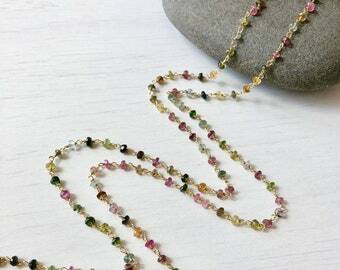 Made with 4mm tourmaline rondelles. 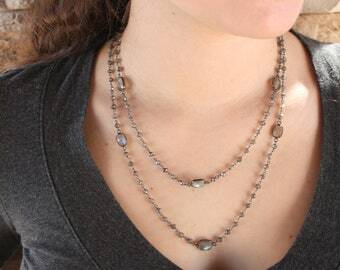 8mm Labradorite edged or bezeled rectangular stones are evenly distributed along the necklace. Lobster clasp closure. 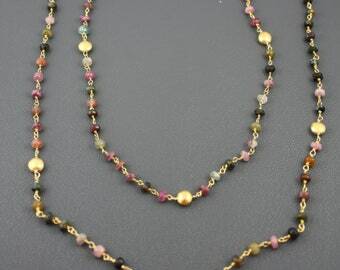 Necklace Length: 40 inches. 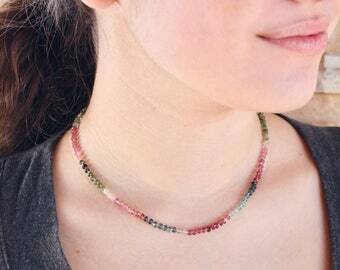 Important Note: In order to layer this necklace you will have to simply open the clasp and twist around your neck. 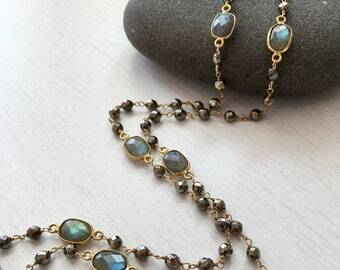 Very beautifully made jewelry. Thanks! 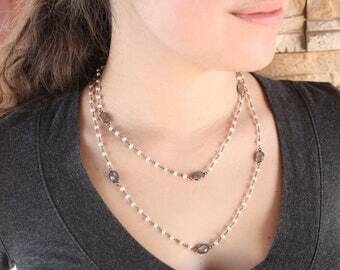 very pretty necklace well done and elegant!